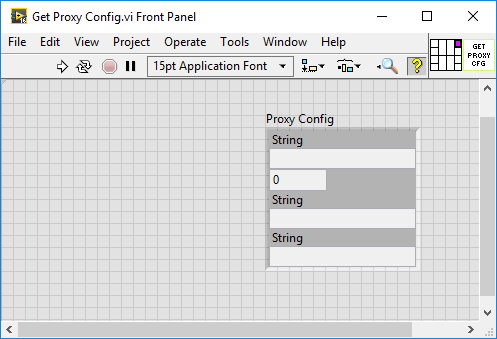 If a LabVIEW application distributed with BLT is ran in an environment where a Proxy filters the Internet connections, the application will not be able to download the product updates. If your application run behind a proxy, you must configure the proxy settings in order to allow it to download product updates. •On the computer where your application runs, Edit the file at: %ProgramData%\STUDIO BODs\<Name of your application>\proxy_config.ini (create the file if it doesn't exist). Replace with the correct IP Address, Port and Credentials. The Username and Password are only needed if your proxy server requires authentication. Your proxy server must support Basic Authentication. Restart the application and it will now use the proxy settings when downloading product updates. If you want to remotely set the proxy settings for your deployments, you might do this by using the BLT Product Features. •Create a new Feature for your Product. 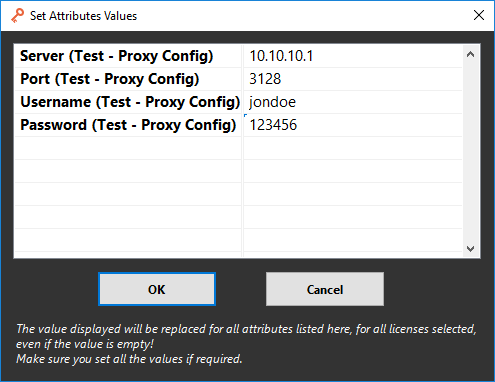 In this example, we name it "Proxy config"
•Set the Product Feature Attributes values for your Licenses. 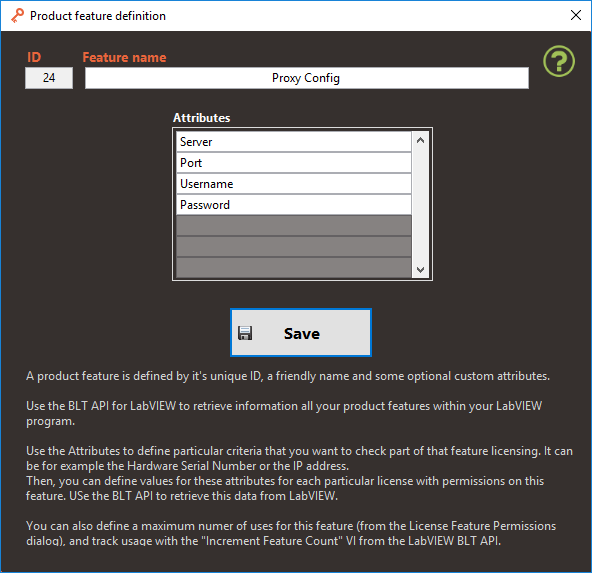 To do this, select the License in the BLT Dashboard and click on the "Configure Product Permissions" button. Drag and Drop your "Proxy Config" feature from the Left to the Right to give permissions to the Licensee. Click on the "Set Attributes Values" button and enter the proper values for the user(s) of this License. 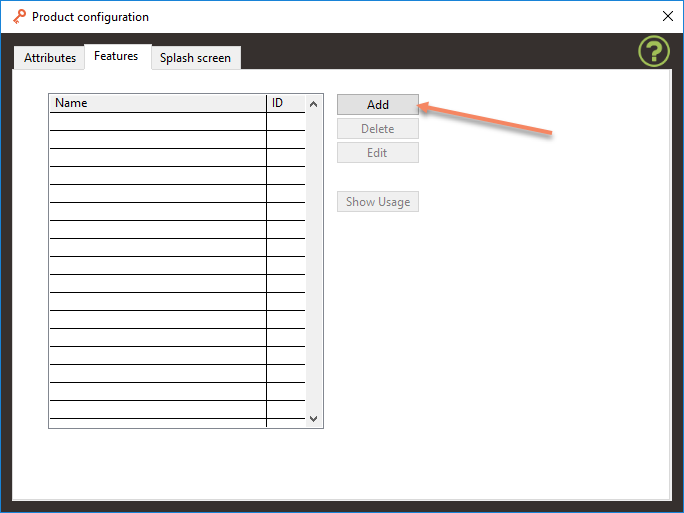 Click OK and Apply to save the changes and repeat this operation for any License that requires a proxy configuration. •Then you need to implement some changes in your application to retrieve the Licensee Proxy config from the BLT Server. •Implement the following change in the BLT_Main VI of your application (Search for "BLT_Main" in your LabVIEW Project to locate the VI). •Save your changes, Rebuild and Distribute your application. Note that Method 2 will override any Proxy Config that might already be set using Method 1.